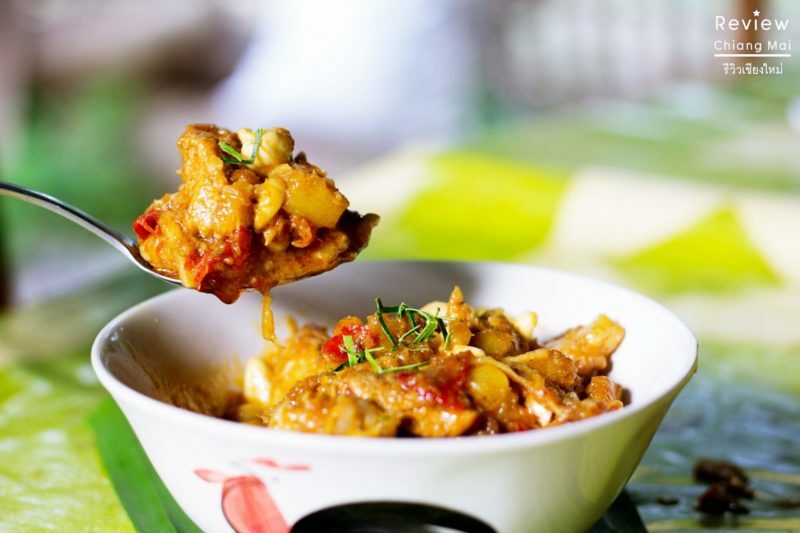 Chiang Mai : Join Auntie Orn in her kitchen and explore the real herbs and spices of Northern Thai cuisine. Pick organic veg from her garden and explore a local organic market before getting to grips with pastes, curries, salads and more. 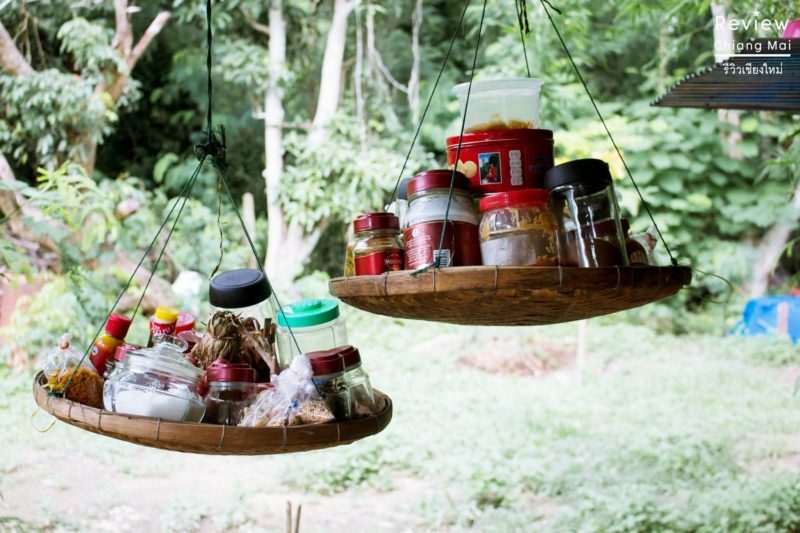 This small farming family in Chiang Mai is opening their kitchen doors to visitors who are looking to learn about real thai food, permaculture and traditional ways of life. 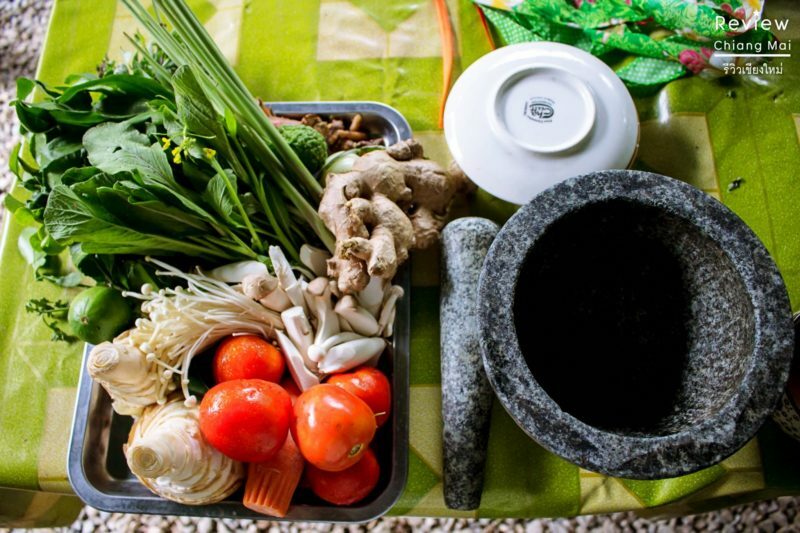 Learn to cook with your friends and loved ones during this full day course where you will be invited to spend time in Auntie Orn's garden learning about herbs and local produce, visit a local market, cook traditional Thai food with the ingredients you have collected. The food is clean, organic and simple, giving you techniques that you can take home and impress your friends with. 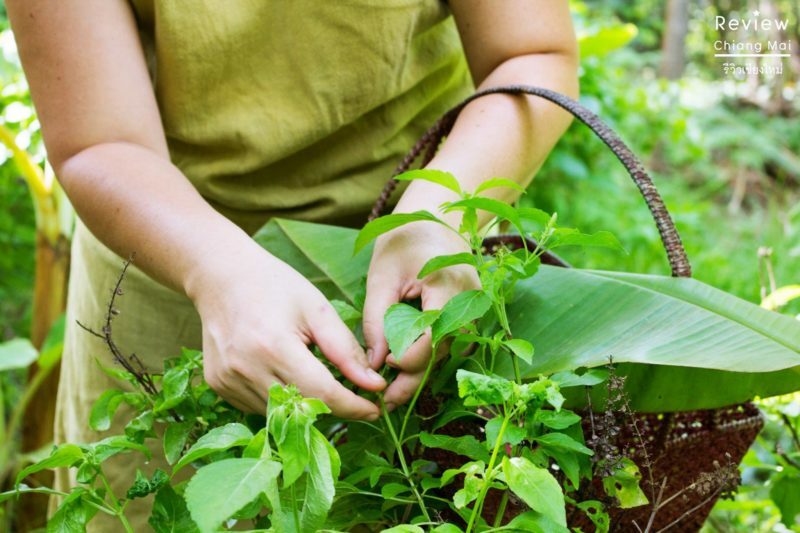 Learn about Northern Thai herbs used in seasoning and creating curries and side dishes. Walk around the gardne and be taught about the technical side of permaculture and traditional farming. Visit a local organic market. Cook dishes step-by-step in a fun and exciting enviroment. Learn how to make sticky rice. Selecting the correct vegetables is important, so learn to pick the best. Auntie Orn's garden is fresh and organic, so the only thing you will need from the market are meat and a few other ingredients. "This is not just a cooking school, but an experience all about the love of cooking and how things come together. Most of our customers are from overseas and love to come and join us, look around my garden and pick fresh herbs and vegetables to use in the dishes we cook. It is not always necessicary to follow a rigid formula so expect to follow your heart, or your tongue, with some parts of the cooking - its the love that makes food taste good." Auntie Orn. Fresh from the garden and ready to cook. 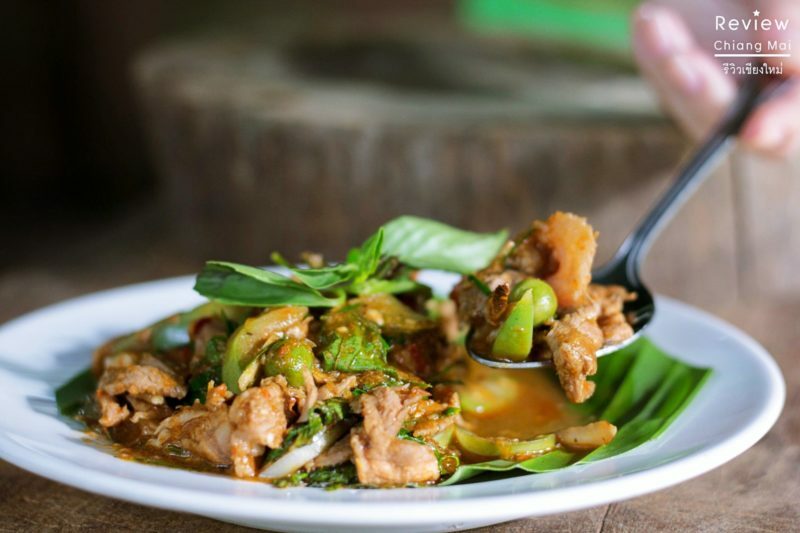 Stir fried spicy meat with Thai basil. 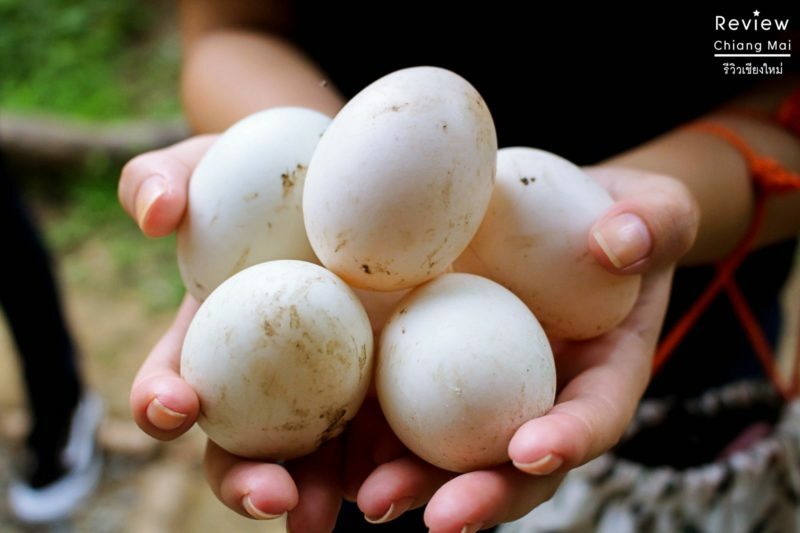 Fresh duck eggs from the garden. Course start: 8.45am - Finish 3.00 pm. Pick up from your place. Visit the local organic market. We will take you to Nong-Hoi- market, which is an organic market just outside the city on the way to our garden. You will have enough time to walk around and take pictures and watch vendors selling their products. Welcome to our Jungle garden. After Market around 5 minutes’ drive we will arrive at my home and garden. We will welcome you to our house with herb drink, And Auntie Orn will take you around the garden, I will explain to you about an ingredients, how to pick them and you will pick your own vegetables for your dish. Vegan and Vegetarian versions available. Remark : We do all of this in our open air kitchen located in a quiet local village 15 minutes away from the Old City. Round-trip transportation is provided for you and your group.